With a history as long and detailed as Canada’s, it’s easy to find yourself inches away from important historical sites. This is especially true along Manitoba’s section of The Great Trail, which is rich in Indigenous and European heritage. As you wander among tall grasses on the prairies, remote forest trails or paddle through the peaceful lakes of this province, stories of ancient tribes and nation-builders are just waiting to be told. Take in the history of the province with thrilling and enlightening adventures on The Great Trail, inspired by Travel Manitoba. Start your Trail journey on the Crow Wing Trail, the longest section of The Great Trail in Manitoba. Beginning at the close-knit francophone community of St-Pierre-Jolys, this prairie path was traditionally used by Métis freighters, aboriginal people of mixed Indigenous and European descent. To keep your adventure going, head to O’Roseau, a camping and recreation area near St. Malo Provincial Park. O’Roseau is a popular spot for hikers, providing family-friendly cycling, river tubing and fishing activities. Once you’ve had lunch, cross the Roseau River along the Senkiw Swinging Bridge. This simple wooden structure was first built in 1946, and served as a crossing for children attending Senkiw School, replacing a hand-powered basket and pulley system. Get a taste for Manitoban wild food on a “You can eat that? 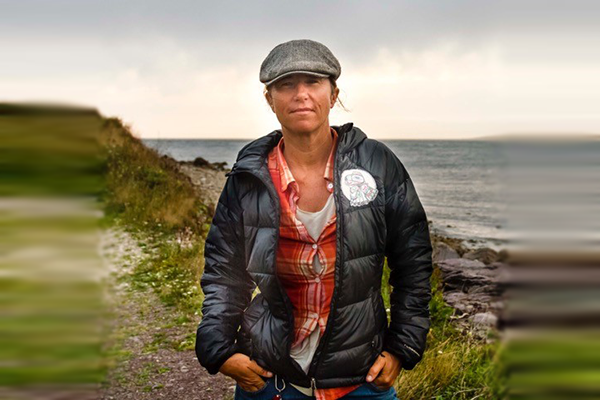 !” foraging tour with Prairie Shore Botanicals, before venturing on to Roseau River First Nation, where you can discover the timeless tales of this spiritual land. Conclude your day of hiking at Whiteshell Provincial Park, surrounded by the mind-blowing landscape of the Canadian Shield. This beautiful park is popular with visitors all year round, and remains Manitoba’s most-visited provincial park. Unwind in the forest getaway of Falcon Trails Resort, perched on the shores of Falcon and High Lake. As the Borders to Beaches Trail passes through the resort’s property, it’s an ideal location for continuing your adventures on The Great Trail. After breakfast, lace up your hiking boots and hit Whiteshell’s awesome section of The Trail! This 2.5-kilometre stretch is a must for avid photographers. Make sure you have your camera ready for the Top of the World viewpoint, an unobscured panorama of Whiteshell’s wild, boreal forests. From there, move on towards the South Shore Trail and the Marsh Trail, which both offer ample opportunities to spot local wildlife. For a quick bite to eat, head to the Falcon Nest Diner, an unpretentious eatery on top of the hill in West Hawk Lake. Enjoy a juicy hamburger before leaving this scenic spot – you’ll need this delicious fare to fuel the rest of your journey! After lunch, set out for West Hawk Lake via The North Shore Trail, before joining the path from Faloma to West Hawk Lake. Take your time on the journey – stop to admire the fabulous lakes around you, and take some atmospheric photos. After a long day of hiking, you’ve probably worked up an appetite. Reward yourself with a casual supper at Nite Hawk Cafe, where you can tuck into gourmet burgers, delicious wraps or the guilty pleasure of home-cooked fries! On your return to Falcon Trails Resort, put aside time to relax in nature. 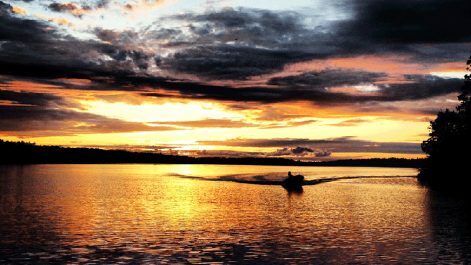 Refresh with a quick swim in the lake, or take a canoe out for a paddle as the sun sets. After waking up, join The Great Trail once again for a morning hike! Drive to Caddy Lake and start the Centennial Trail. With terrain ranging from granite ridges to deep boggy forest, this section of Trail measures almost 36 kilometres and is a true taste of Canadian wilderness. Before heading to your next destination, drive to Brereton Lake Lodge for a delicious lunch with wonderful Manitoban hospitality. 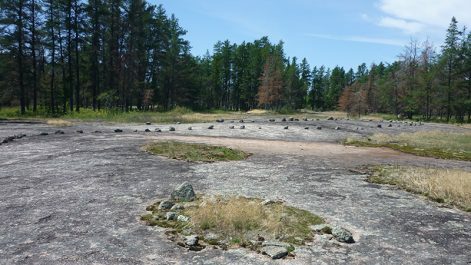 Get back in touch with local history in the afternoon and drive to Bannock Point Petroforms, stone structures laid out in the forms of turtles, humans, snakes and abstract patterns. 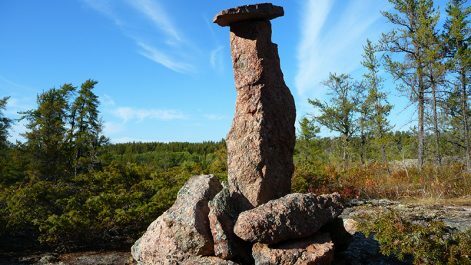 According to Anishinaabe and other First Nations cultures, these rock formations were left here in ancient times, so that visitors could receive healing and knowledge from them. As your day in Manitoba comes to a close, prepare yourself for an Instagram-worthy 90-minute drive to Winnipeg. You’ll arrive famished, so grab a bite to eat at PEG Beer Co., one of Manitoba’s finest craft beer bars and casual restaurants. The Mere Hotel is a locally-owned boutique hotel that exudes modern tastes and simplicity. Located in Winnipeg’s East Exchange district along Waterfront Drive, its proximity to The Great Trail makes it ideal for active travellers. 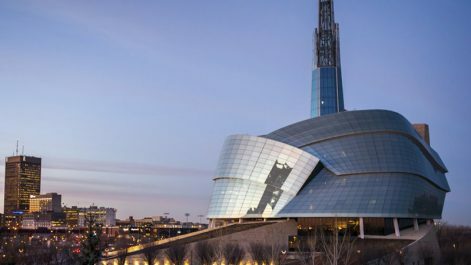 On your final day, pay a visit to the Canadian Museum for Human Rights, an inspiring national centre with thought-provoking galleries and exhibits. Themes range from Canadian issues to global ones, both past and present. When you’re finished, wander to The Forks National Historic Site, a sacred area of land where the Red and Assiniboine Rivers meet in downtown Winnipeg. For over 6,000 years, it has served as a meeting place for various First Nations. 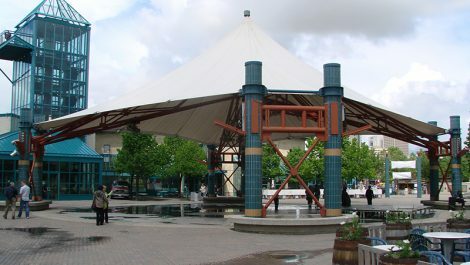 Head to The Forks Market for lunch. 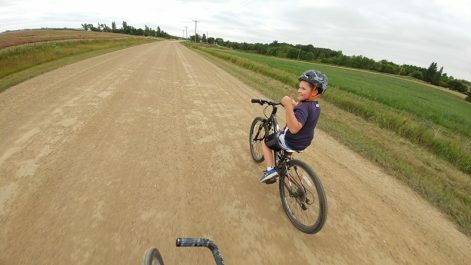 Spend your last few hours in Winnipeg on two wheels! 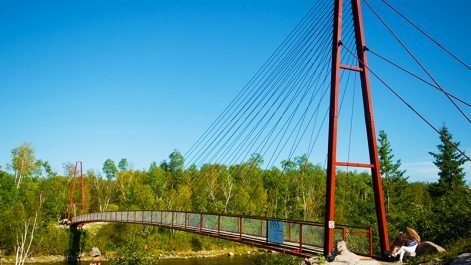 Rent a bike from White Pine Bicycle Company and cycle the City of Winnipeg Trail, exploring the French-speaking quarter of St. Boniface via the stunning Riel Esplanade pedestrian bridge. Peddle your way through the historic heart of downtown, stopping by the façade of St. Boniface Cathedral before riding along the Assiniboine River towards the magnificent Manitoba Legislative Building. 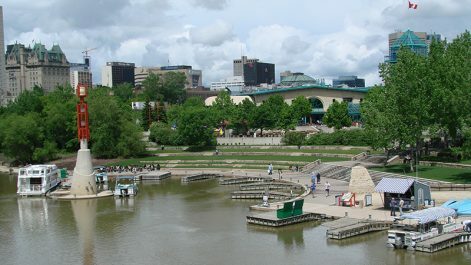 Fly to Winnipeg James Armstrong Richardson International Airport, or choose from a number of direct train and bus routes from Jasper, Vancouver, Toronto, Prince George, Prince Rupert and Churchill. Once in Winnipeg, hire a car to travel between various provincial parks.